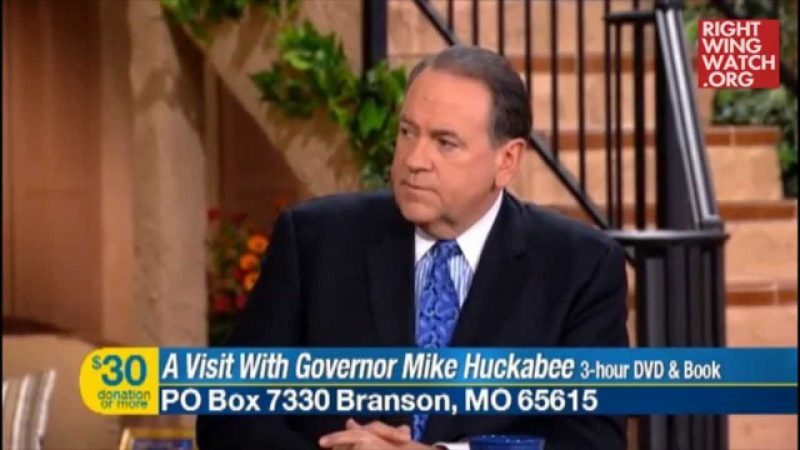 Disgraced-televangelist-turned-survivalist-preacher Jim Bakker had a very special guest on his television show this week: Mike Huckabee. 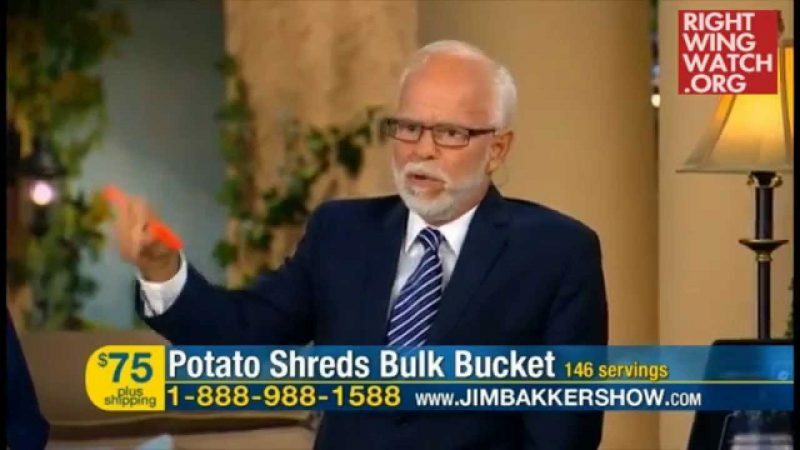 The former Arkansas governor stopped by “The Jim Bakker Show” to promote his new book, “God, Guns, Grits and Gravy,” which seems to be little more than a compilation of populist, right-wing talking points about how coastal elitists like Beyoncé are trying to destroy real America. 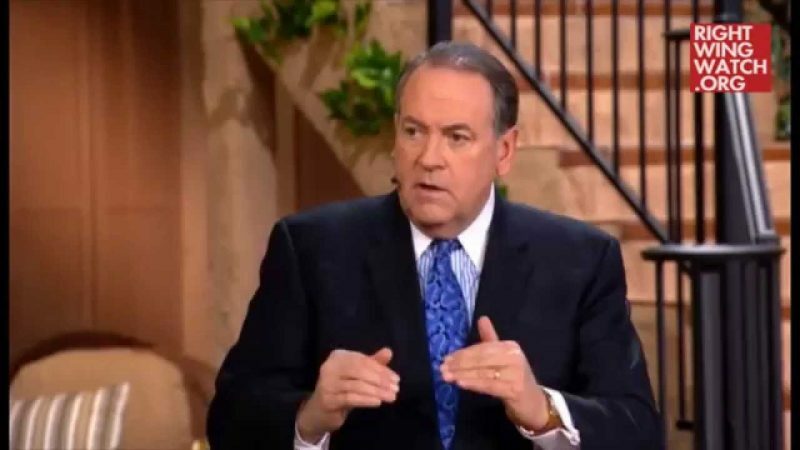 Bakker was so impressed by the book that he claimed to have studied it like the Bible and practically begged Huckabee to run for president. 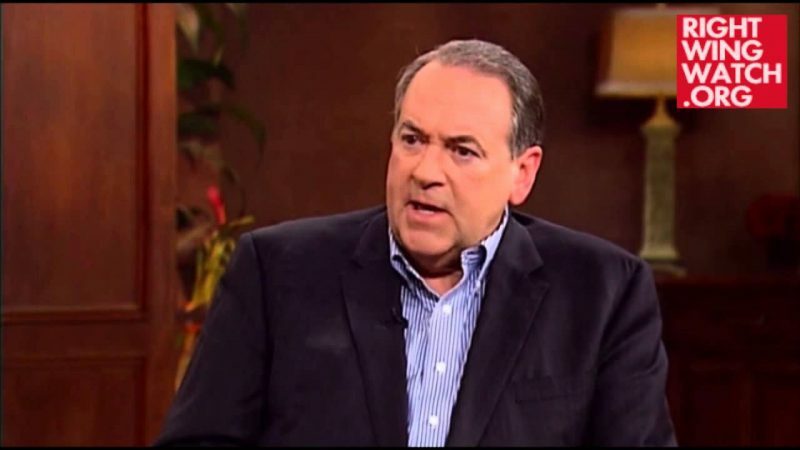 Bakker led the audience in cheers while shouting “hallelujah” after Huckabee said that he ended his Fox News program in order to explore a possible presidential candidacy, which prompted Huckabee to declare that he ought to “launch the entire campaign” on Bakker’s show.